'80s Actual: The 1980s: Coming To Your Home - A VCR! But Should It Be Betamax, Video 2000 or VHS? The 1980s: Coming To Your Home - A VCR! But Should It Be Betamax, Video 2000 or VHS? Ah, the 1980s video revolution! Wasn't it thrilling? Well, yes, it was, but it was also slow moving and confusing. The newspaper ad above is from 1980, when only 5% of UK households had a VCR. Video technology had been around for yonks, but VCRs had not. And they were expensive - to buy or rent. So, hardly anybody had a VCR and nobody felt the lack because what they'd never had, they never missed. But of course if you did rent one you need never miss another episode of Coronation Street again, as Chapman & Son of High Street, Haverhill, England, informed us. The 1980s saw the arrival of various innovations - such as front-loading machines and ever fancier and more confusing timers. VCRs moved into the ascendancy. In 1983, nearly 20% of UK households had a machine, and in early 1985 it was 25%. The sky was now the limit and it would not be long before a VCR in the home was regarded as essential by the majority of us. Most people I knew rented their first VCR. However, another hurdle to surmount in the early-to-mid 1980s was the different formats available. Should you rent or buy Betamax, VHS or Video 2000? The features and performance are similar, but the three systems are not compatible, and video tapes are not interchangeable between them. Please check carefully that the tapes you have ordered are the correct type for your machine. 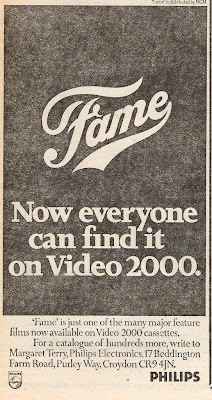 A 1982 newspaper ad for the Phillips Video 2000 "Fame" release. The 1980 film was now available to view in your own home. From the Brian Mills Spring/Summer 1983 mail order catalogue - a Sharp VC9700 format de-luxe video cassette player and a Toshiba V87008 Beta format de-luxe video cassette recorder - £699.99 and £535.00 respectively. Pricey, weren't they? The cheapest models featured in the catalogue were two Beta models at £399.00 each. 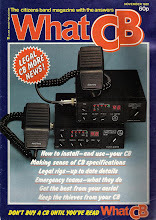 Mail order catalogues provided another option, apart from renting or buying outright, for people who wanted the VCR experience, as the cost could be spread over a number of months. An aunt of mine bought a Beta model in about 1983, and lived to regret it when VHS won the sales battle. However, Auntie kept her Betamax machine for years, determined to get "value for money". Blank Betamax cassettes were, of course, still on sale for a while, and she used the machine to tape films and her favourite soap, Brookside! 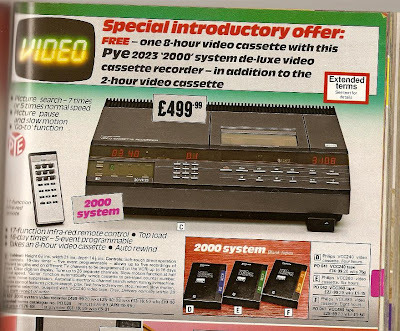 Another 1980s technological marvel from the Brian Mills Spring/Summer 1983 mail order catalogue - a Pye 2023 "2000" system de-luxe video cassette recorder, priced £499.99. 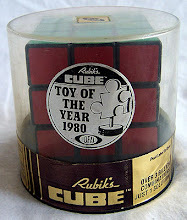 Probably pretty collectable these days! I was really becoming aware of the video revolution by the mid-1980s. One of my favourite memories of those days is the 1985 Scotch video cassettes skeleton ad, featuring the voice of Deryck Guyler. 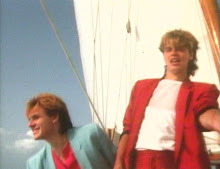 "Re-record, not fade away..." Remember? See it here. I first rented a video recorder in 1984. They were still not very common where I lived. Wow, yes forgot all about the battle of the video formats! My dad brought a betamax - and proudly said it was the best out there - our video shop did both formats but slowly started stocking less beta's as VHS won over. It was an exciting day when they got rid of all the old beta tapes in a big sale, but of course used video's weren't the same as used DVD's and they invariably had that snowy picture on when they got too old. 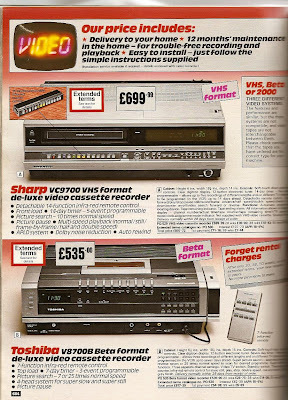 We had our first VCR in 1985 - it specialised in eating tapes! We had our first VCR in 1982 or 1983, a Ferguson Videostar and one three hour cassette at they were costly back then, think the tape cost something like £7.99 and lasted until the late 80s. The '80s Actual blog is designed to be an antidote to all those television shows and on-line articles of recent years which examine pop culture - and frequently get it hopelessly wrong! If you sat watching the BBC's "I Love The 1970s" and exclaimed over items being shown "I could swear that was 1968!" or "Wasn't that 1981?" chances are you were right. If you look at certain '70s fan sites and think a lot of the material written about is actually from the '80s, you are almost certainly correct. If on-line encyclopedia articles which state that pop culture of 1983 is really 1977, or similar, have you wishing for reality, then '80s Actual is for you. There is a huge drive in the media and on-line to negate the 1980s, to attribute that decade's innovations and fond memories to other decades, and basically to present it as a completely vapid ten years, not worthy of examination. I'm not sure why. Perhaps it's just comforting to have a decade people can scapegoat and declare "HORRIBLE"? This blog is based on actual memories, media footage (thank you, YouTube!) and snippets of newspaper and magazine articles from the 1980s. If you read it here, I think you can rest assured it's accurate, though I can take no responsibility for the newspaper reports from the decade! The '80s Actual blog examines the decade's news stories - from the emergence of Lady Diana Spencer into the public eye in 1980, to the fall of the Berlin Wall in 1989. Was it simply "The Greed Decade" as many like to claim? I think not - the '80s saw the emergence of yuppies, but also Red Wedge, the Greenham Common Peace Women, and increasing concern for the environment. 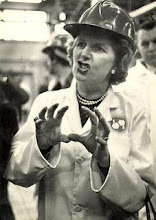 It may be convenient to scapegoat the '80s as the cause of all known ills, but the reality of the decade was far different - absolute bedlam, as Right fought Left, idealism fought corporate ambition. The election of Ronald Reagan as American President in 1980, and his second victory in 1984, had a far more decisive effect on the international political landscape than the three successive general election victories of UK Prime Minister Margaret Thatcher in 1979, 1983 and 1987. And there was so much more! The decade truly had something for everyone - and provided a welcome escape for a while from the long-running and boring saga of flared trousers as fashion, begun back in the 1960s! It was a brilliant decade for telly - bringing us such wonders as A Very Peculiar Practice, Inspector Morse, Spitting Image, Hot Metal, The BeiderbeckeTrilogy and Edge of Darkness. The 1980s also saw the creation of The Simpsons, Twin Peaks, and other wonderful (often groundbreaking) American TV shows like Kate & Allie, Cheers, The Golden Girls, Married... With Children, The Cosby Show, Roseanne, and Hill Street Blues. The '80s gave us some wonderful UK TV ads. Remember Ted Moult advertising double glazing at the Tan Hall Inn with "Fit The Best - Everest"? Remember the Weetabix gang? Remember the Scotch video tape skeleton ("Re-record, not fade away"?). Remember the romantic yuppie couple in the coffee ads? And what about "Lotta Bottle"? 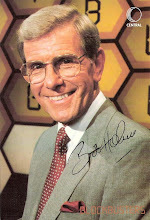 In fact, the '80s totally transformed our telly viewing, bringing us Channel 4 and Sky TV. 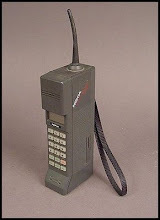 The '80s were a fascinating time for science and technology! Video recorders became widespread, the Sony Walkman arrived, the first hand-held mobile phones hit the streets (expensive analogue bricks! ), the ZX Spectrum, Game Boy and the World Wide Web (Thanks, Sir Tim Berners-Lee!) were invented, the first computer mouse eeked its way into our homes and Sir Alec Jeffreys accidentally discovered DNA fingerprinting. It's all here! 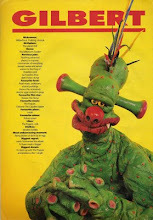 There are also also '80s Actual sister blogs taking us back to the '70s and '60s - The Real 1970s and Spacehopper. The view of the 1980s presented here is from an English perspective - much of the original '80s material used is from England, but I hope this blog will prove useful and enjoyable to people in the other nations of the UK and much further afield. 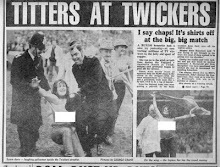 SpaceHopper - 1960s fads, fun and news revisited - including the space hopper! Why I Don't Love The 1970s - Is the 70s revival based on fact or fiction?